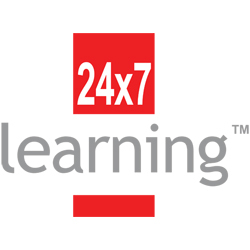 24×7 Learning won based on its work with a global steel giant. With the implementation of its learning platform LearnTrak LMS, the organization saved over $5 million on training. LearnTrak was used to train over 8,000 employees across multiple locations. The implementation of LearnTrak LMS ensured measurement, improved training compliance, increase in the number of courses that could be offered to employees, andthe number of training programs employees could take up, as well as reduced classroom training drastically. 24×7 Learning is a leading online learning solutions company that is committed to enabling global organizations to align learning activities to their business objectives. Since its inception 14 years ago, the company has successfully partnered with organizations from around the world to help them address their training needs and challenges. It has changed the lives of over 2.5 millions learners in over 225 global corporates – across 35 countries. LearnTrak LMS: An award-winning platform that uses breakthrough technology to deliver seamless and uniform training for intuitive, effective and collaborative learning. The platform supports multiple languages, blended learning, and mobile learning among other learner-friendly features.